It started with bran and our ignorance on the subject. Lately Cody’s favorite breakfast cereal is All-Bran. I know. It is a strange cereal to be declared anyone’s favorite cereal, much less a ten year olds. I think part of it is because we are mean parents and do not allow our children access to the sugar laden, ultra-artificial neon colored, talking animal promoted cereals that are shelved at kid eyelevel in the grocery stores. The kid likes All-Bran. But what is bran? Husband looked it up and a discussion ensued regarding the various sections of wheat and those various sections nutritional values. Yeah, it sounds boring but it really wasn’t. Maybe you just had to be there. Anyway, I will not prattle on about our findings on bran; you can look it up yourself if you are so inclined. It was during our bran research and discussion that Carter decided he was being left out. He does not like All-Bran (nor does he like being left out of conversations). He does not like any cereal, unless that cereal is named Cheerios. The boy could live on Cheerios, yogurt, and apples – but mostly Cheerios. carter: I think Cheerios are made of wheat too! We mostly ignored his comment, deep were we into the topic of bran. I may have mumbled a, “Oh, that’s nice sweetie.” or something like that. carter: Cheerios look a lot like red blood cells. Yeah, Carter who is rounding the final lap of his second grade year, equated Cheerios to red blood cells. It was cool (and a tiny bit creepy). I nodded and said something about the picture he was referring to was probably an image using epi-fluorescence microscopy. It made total sense that he would have come across such an image because about a month or so ago I cleaned out our garage. In one of the boxes I came across my old college text book from my Microbiology days. I was planning on getting rid of it but Carter insisted we keep it. He lugged that book around for a couple weeks and was often found reading it (Momma, I don’t understand any of this! ), but I did not know he was actually getting anything out of it. So, yeah I would have to agree with Carter. 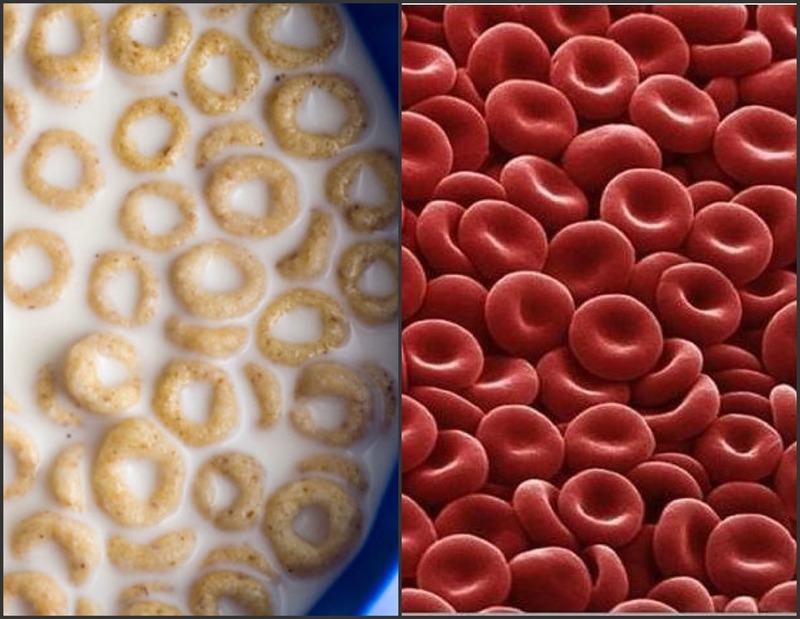 Cheerios do look a lot like red blood cells. 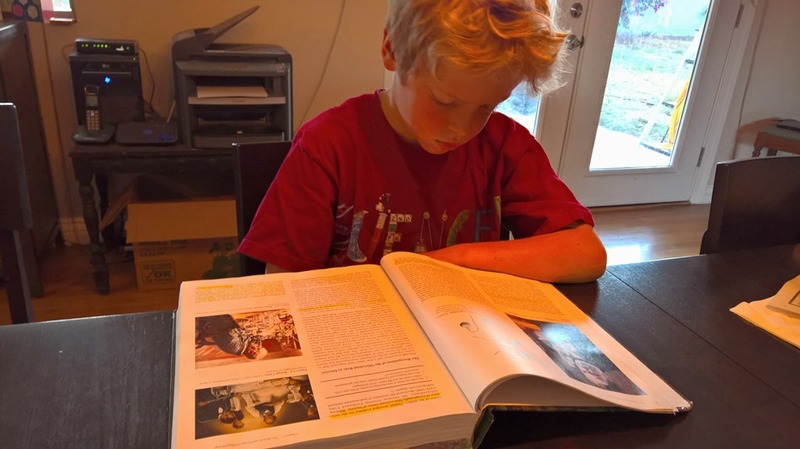 This entry was posted in Food Glorious Food, Little Feet and tagged All-Bran, Cheerios, Children, Conversations with Kids, Humor, Microbiology, Parenting, Red Blood Cells epi fluorescence microscopy. Bookmark the permalink. 1 Response to Need some Milk to go with that Bowl of Red Blood Cells?